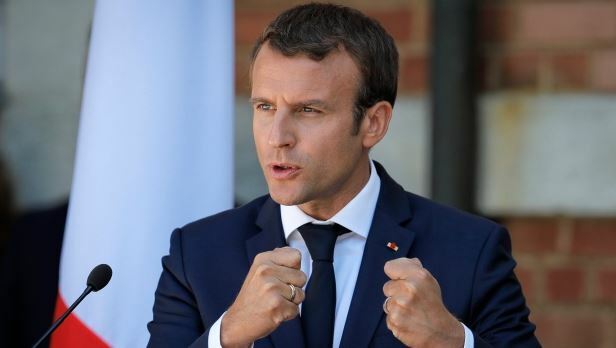 Some tourism stakeholders on Monday said that the planned visit by President Emmanuel Macron of France to the African Shrine in Lagos would further boost inbound tourism in the country. They told the News Agency of Nigeria (NAN) in separate interviews in Lagos that it would also boost the positive image of the country’s culture, music and arts before the outside world. Mr. Ikechi Uko, the founder of AKWAABA Travel Tourism Market said to have a president of a country like France that can attract lots of visitors to Africa would place the African Shrine on a global map. He said it was a massive move for Lagos State as the visit would be covered by French media and some other international media organisations and wire agencies. ” It is a good development for Lagos State and Nigeria as a whole because we are going to experience a boost in inbound tourism.”? He expressed excitement that most tourists were beginning to reinforce and confirm Nigeria’s position as the entertainment capital of Africa. He said before now, tourists visited the country due to oil, banking and business purposes. They had now begun to show interests in Nigeria’s culture which is a testimony of how far the nation had gone. ” Lagos State must be commended for all the facelifts within the state, the murals, statues and all, Lagos is already on the path to greatness,” he said. Ologun is the Executive Secretary of the Hotel and Personnel Services Employers’ Association of Nigeria (HOPESEA). He said that there should be hope of some musical collaborations coming up between Nigerian musicians and those from France. ” For the French President to deem it fit to visit Fela Shrine, it means that he has some regards for Nigerian culture and music industry. “We congratulate the Lagos State Government and the family of Late Fela Anikulapo and we wish them a successful hosting. “We hope this will be the beginning of new outburst of musical collaborations between Nigeria and France,” he said. Mr. Bankole Bernard, President, National Association of Nigeria Travel Agencies (NANTA) said President Macron’s planned visit was an initiative of the Lagos State Government. Bernard added that it would showcase the state’s art galleries, culture and entertainment to the rest of the world. Bernard said that the Lagos State’s film industry was growing rapidly so it was trying to ensure investments and fresh ideas come to the sector. He said this would be an eye opener for Nigerians to appreciate the potential in their culture, music and arts. ” For the first time, Lagos State is taking tourism to another level which is the vision of the government and I quite applause the state governor for that. ” This will help Nigerians to appreciate what they have. He urged other state governments to take a clue from this rather than waiting for monthly subventions from the Federal Government to groom their tourism sector. He also called on the Federal Government to stop paying lip service to tourism development in the country.